Heat treatments have been used to heal the body throughout history among many different cultures and although the concept of sweating inside a heated space has transcended time, infrared saunas are quickly becoming the popular choice. Infrared light has opened the door to a host of health opportunities and benefits, which can now be achieved under the most optimal conditions of any heat therapy. Infrared light is part of the Sun’s invisible spectrum of light, which has the ability to penetrate human tissue. 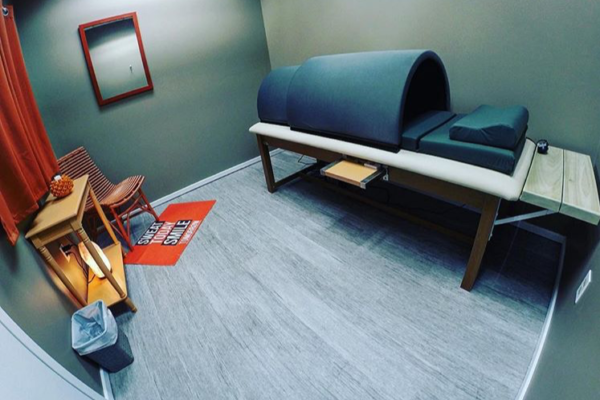 Infrared heat therapy uses infrared light characteristics to heat the body directly, unlike other saunas, which heat the air around you. We liken the experience of an infrared sauna to that of sunbathing, which gives you the radiant heat that is all your own, without the ultraviolet light that can cause sunburn and damage to your skin. Infrared heat therapy is healthy and safe. The vast majority of benefits of Infrared are readily increasing as more research is being done. 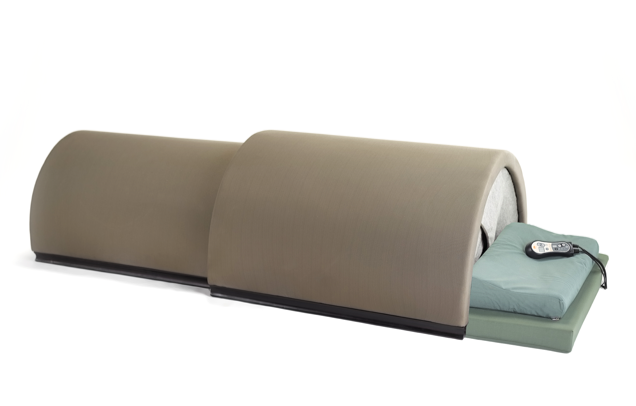 The heat inside our infrared sauna bed is well ventilated and extremely comfortable, not unbearably hot like some conventional steam saunas. The body’s core temperature is increased inside an infrared sauna, which allows for a more detoxifying sweat at the cellular level. Far infrared saunas have been shown to have a positive effect on stress reduction, pain management, skin purification, detoxification and weight-loss, amongst other things. Detox from an infrared sauna is 7 to 10 times greater than a conventional sauna. In a conventional sauna the average person sweats out 3% toxins and 97% water. In an infrared sauna, the average person sweats out 20% toxins and 80% water! A SunlightenTM infrared sauna session can burn up to 200-600 calories! As the body works to cool itself while using an infrared sauna, there is a substantial increase in heart rate, cardiac output and metabolic rate. Infrared heat therapy raises core body temperature causing passive cardiovascular conditioning. Your body’s natural response to infrared heat therapy is to increase circulation and sweat. Check out the results with a heart rate monitor and you will be amazed! The Solocarbon® heaters made by SunlightenTM were used in a clinical study with the University of Missouri Kansas City in 2005 and were shown to lower blood pressure from a 30 minute sauna session three times a week. Repeated infrared treatment improves impaired blood vessel functions in patients with high blood pressure, diabetes and high cholesterol. This suggests a preventative role for sauna use for arteriosclerosis. flow. Infrared heat assists in the resolution of inflammatory infiltrates, edema and exudates. The increased peripheral circulation provides the transport needed to help evacuate the edema, which can help end inflammation, decrease pain and help speed healing. Improve your skin’s appearance with regular use of an infrared sauna. Open wounds heal quicker with reduced scarring. Infrared heat therapy helps acne, eczema, psoriasis, burns and any skin lesions or cuts. It also reduces wrinkles, makes skin look radiant, firms and improves skin tone and elasticity. Regular use may also help reduce cellulite trapped beneath the skin, lessen the appearance of scars, and help burns heal significantly. Sweating in itself is stress-reducing and relaxing for both the mind and body. 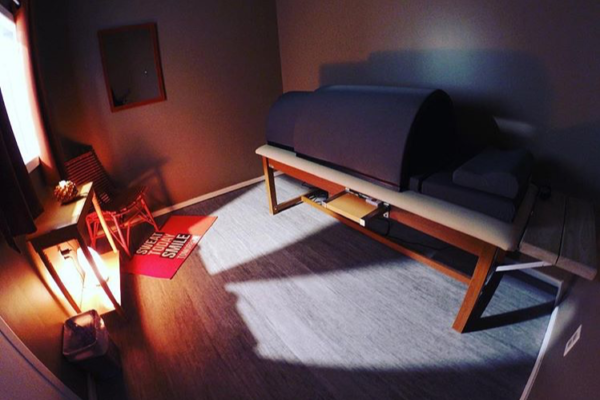 Infrared Sauna therapy can promote relaxation by helping to balance the body’s cortisol level, the body’s primary stress hormone. Stress build-up creates tension in the body that can manifest as various aches and pains, the heat generated by the sauna will help to relax muscles and relieve that tension, allowing you to relax and de-stress. Infrared heat can benefit the sore, damaged and tired muscles of an athlete. The heat penetrates the muscles, increasing blood circulation and assisting with muscle repair. Infrared heat will also help with the reduction of lactic acids, allowing tight and worn-out muscles to relax and rejuvenate. Scientific research has concluded that near infrared therapy can greatly enhance the skin’s healing process by promoting faster cell regeneration and human tissue growth. Human cell growth increases to repair wounds and prevent infection. 1. Drink plenty of water before and after your session. We have water available in the Lounge and other liquid refreshments available for purchase. 2. Put your cell phone on silent or vibrate. Please refrain from talking on your cell phone during your session; this will help to create a more relaxing environment. 3. You are in full control of your room’s lighting, but we recommend the salt lamp lighting for optimal relaxation. 4. Wear whatever makes you comfortable inside the sauna, but be aware that you will sweat profusely and may need a change of clothes when you’re done. We recommend a bathing suit or changeable under garments. 5. Please do not move the control boxes or press buttons, as this could cause the pod to lose power. 6. 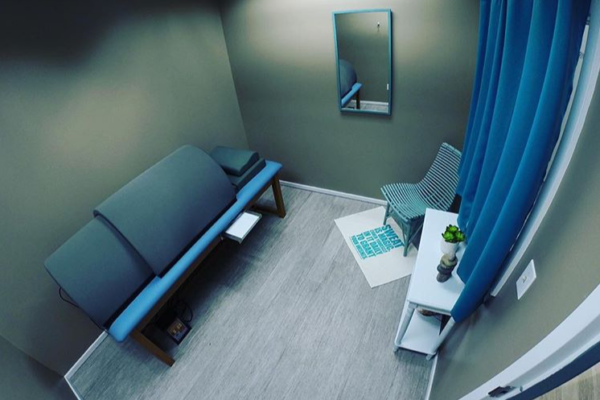 We can check on you during your first session, so if you would like a temperature change, we can facilitate that for you. 7. If the heat inside the sauna becomes uncomfortable for any reason, you can push the dome down and cool off. 8. Do not feel the need to get off the table too quickly if you are feeling light-headed or dizzy, take a few minutes to gather yourself. 9. You can shower at anytime after your session, but your body will continue to sweat as your body temperature regulates itself, so we recommend waiting an hour or so to reap the benefits. ** Be mindful of your body. Be aware of excessive detoxifying. If you begin to feel symptoms such as nausea, fatigue, or flu-like symptoms during your sauna session, discontinue use immediately. If these symptoms continue, consult your physician.